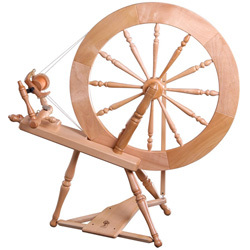 This is my own 'entry' into the Hand Spinning News Spring Competition. I'm exempt of course but still enjoy taking part. 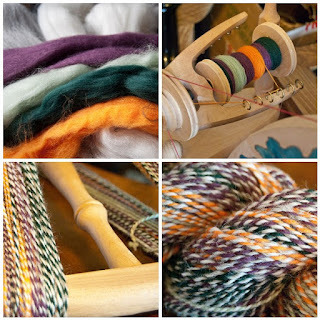 The first picture shows the roving that I chose, in dyed and natural colours, white, natural light, green tea, mint, tangerine and grape jelly. I blended and spun the neutral colours into one single, and the dyed colours into another single, making sure that a strong colour would always be against a neutral colour. The colours are very strong and contrasty, but being plied with the white / grey mix has mitigated that. There are three or four yards of each colour before a change to the next, so I feel that I'll have to choose a project with long rows or rounds to really mix those colours up and avoid strong stripes. 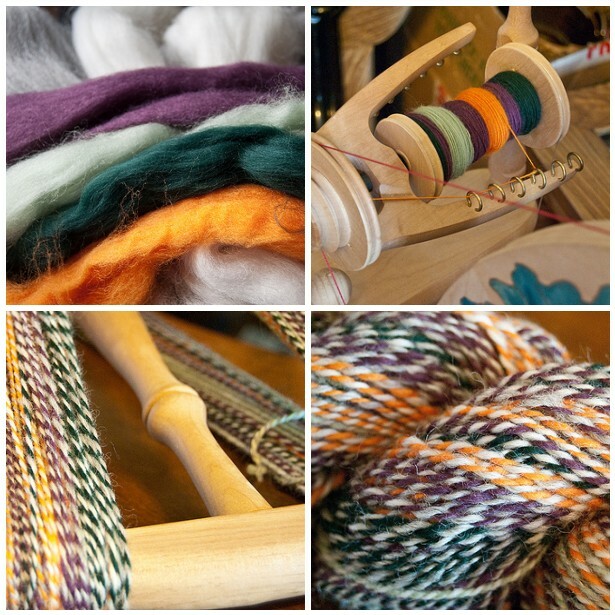 With limited time and lots of enjoyable projects on the go, it was tempting to make just a sample quantity of yarn as my contribution towards this competition. But I do love the crocus picture (credit to Elenathewise) and I'm pleased that I ended up spinning a quantity that I can use for a real project at some point.